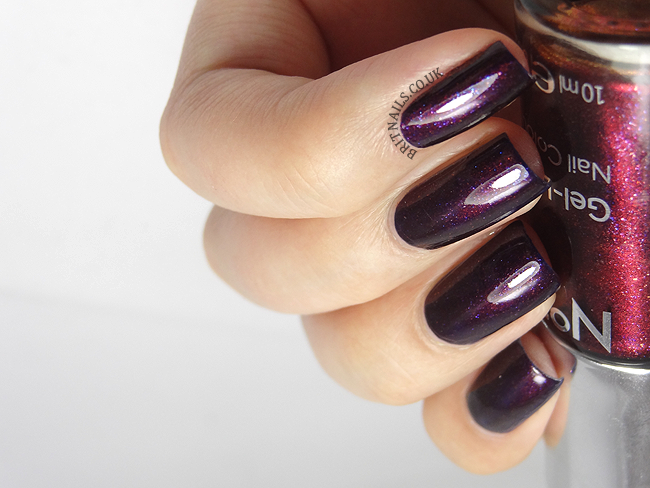 I heard this polish is a dupe of Chanel Taboo, so naturally that made me go out and buy it! Unfortunately I don't have Taboo to show you a comparison, but it really is very similar! 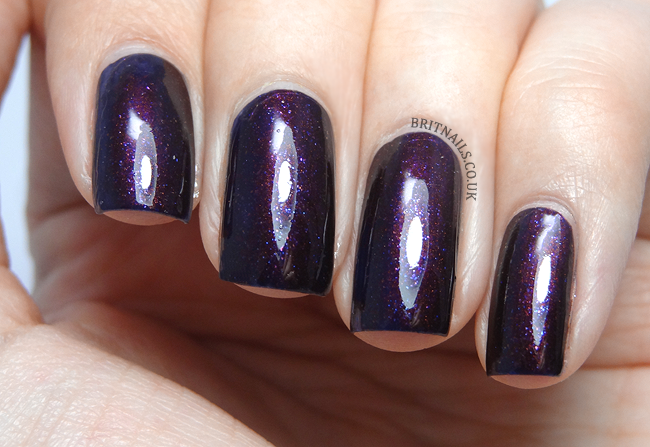 Galaxy is a deep black-purple base (looks more maroon coloured in the bottle) full of red, copper and purple shimmer. I don't know whether I'd call it an out and out dupe, it seems to be SLIGHTLY more red toned in the bottle, but on the nail I can't really see any difference. It does look similar in your pics. 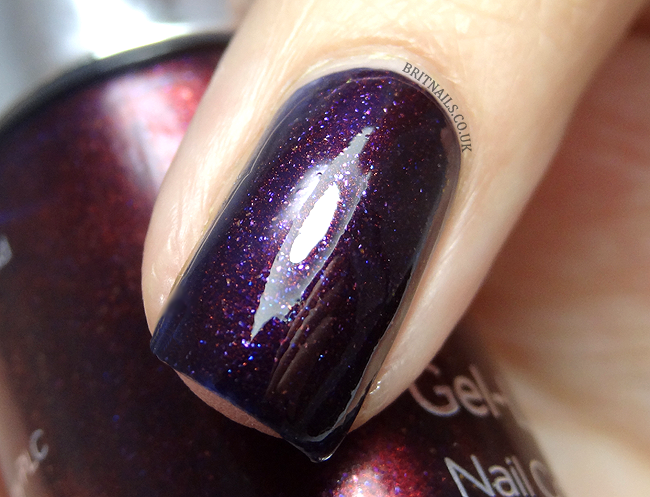 I have Taboo but don't think I can get this polish in the States to compare. Either way it's still gorgeous. Oh wow that really does look like Taboo! 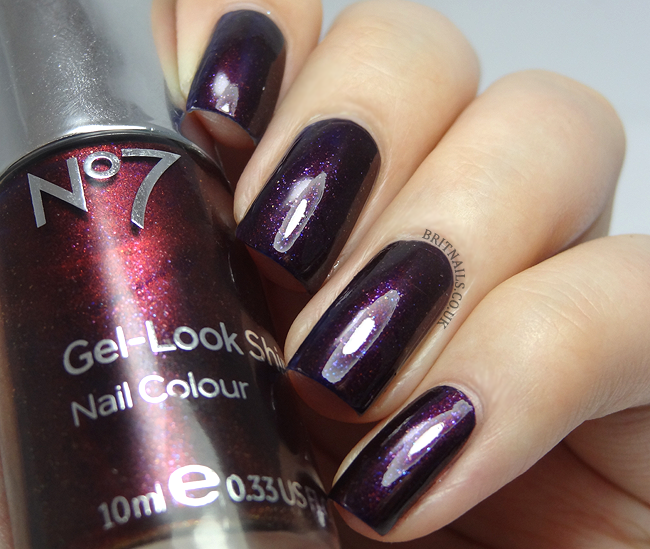 nice polish!And great swatches too! Ok, I'm on my way!